This introductory course in science communication is designed for people who work at the interface between science and society – especially those who must make science and research outcomes accessible and relevant to policy makers and public audiences. People who are likely to benefit from the course include research managers and communication staff working at universities, science councils, government departments and statutory bodies, research funding agencies, industry organisations and NGOs, as well as communication and outreach staff of museums, science centres, zoos, aquaria, etc. The course has a specific focus on challenges of science communicators working in developing-world contexts. The course offers a flexible study opportunity for people who are already working, but are interested to advance their knowledge, skills and networks in the field of public science communication and engagement. The course is 100% online and therefore participants do not need to travel to Stellenbosch. The content is aimed at people who work as communicators or managers at the interface between research and public/policy audiences, typically at universities; science councils; government departments; statutory bodies; research funding agencies; industry organisations or NGOs, as well as communication and outreach staff of museums, science centres, zoos, aquaria, planetaria, etc. The course has a specific focus on challenges of science communicators working in developing-world contexts. This course will be presented over 12 weeks. During the first six weeks participants will work through study materials on the six modules listed above, with a short written assignment each week. This is followed by six weeks to complete a practical science communication project. Successful participation will require five to six hours per week, adding up to 30 – 36 hours over a period of six weeks. Participants should plan to spend at least another 15 – 20 hours on the final practical assignment. 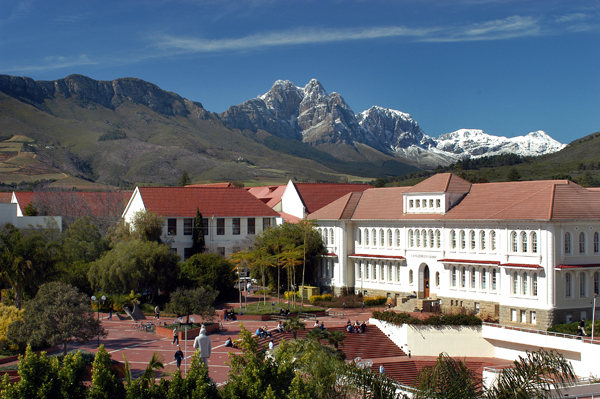 The course will be presented through SunLearn – the web-based learning management system at Stellenbosch University. Participants must have access to a reliable and reasonably fast and stable internet connection in order to be able to download the multimedia components of the class and participate in online forums. Upon successful completion of the course students will receive a certificate from Stellenbosch University. The enrolment fee is R5 700 for South African citizens and US$520 for students who are not South African citizens. Places are limited and will be allocated on a “first-paid-first-served” basis. Students will not be given access to the course platform unless their fees are paid. A recognised university bachelor’s degree or relevant tertiary diploma.